Standard boot outer soles have been developed for desert, jungle, even pavement. But slick, icy conditions have always been a bit trickier, requiring strapped on crampons. Nearly half of soldiers surveyed by the Army chose to buy their own boots rather than wear the ones issued to them. That, in part, is driving work at the U.S. Army Research, Development and Engineering Command Soldier Center at Natick to build a better, lighter, more comfortable and durable boot. And the first feet to feel the difference will be the newest additions to the Army — 800 basic trainees at Fort Leonard Wood, Missouri, and Fort Jackson, South Carolina, according to a center release. Another 800 pairs will go to infantry soldiers at Fort Bliss, Texas. A Soldier Center team will hand fit the boots through the end of the month and return for feedback in March and April. Three models of the boot replacement are expected to be tested by Army researchers. For the general purpose boot, advances in synthetic materials and rapid prototyping may build a boot with the same protection, support and durability of current Army boots, but lighter and more comfortable. 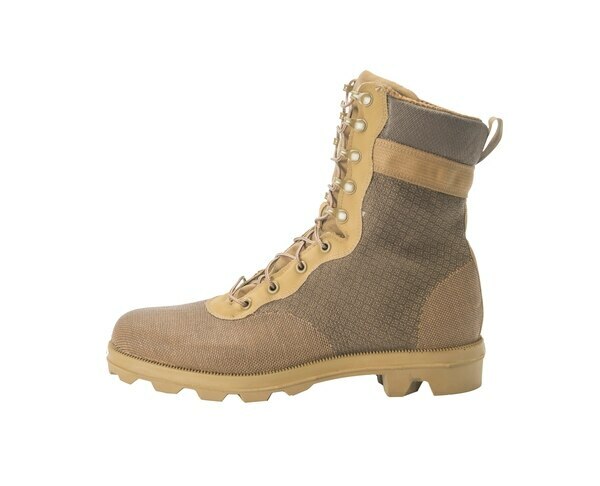 The Army’s current inventory of boots includes seven different styles designed for different environments and climates. The boots issued initially to recruits are the Hot Weather and Temperate Weather Army Combat Boots. The Soldier Center is evaluating new types of leather and some man-made materials that are more flexible than the heavy-duty, cattle hide leather used in the current boots. 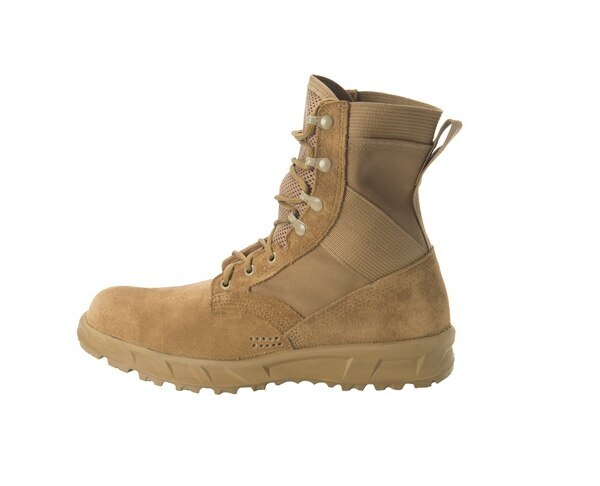 Private companies Altama, McRae Footwear and Belleville Boot Company have all been awarded contracts to build prototype boots with new types of leather to provide greater flexibility and reduce weight, David Accetta, center spokesman, told Military.com. That doesn’t mean the exact boot prototypes will be the next footwear issued, Accetta said. But feedback on the various models, combined with testing done at the center on durability, water resistance, shock attenuation, ankle stability and support, flexibility and traction, and breathability will factor into the design of the next boot. Of the 14,000 soldiers surveyed, nearly half chose a commercial boot over the Army general issue boot, which last saw upgrades in 2010. Army developers have made advances in boot technology beyond the general issue boot, with substantial work in hot weather, or jungle, boots. Until a posting nearly four years ago, there had been little to no change in Army jungle boot design and materials since the end of the Vietnam War. Version One of the Jungle Combat Boot was issued to soldiers with the 25th Infantry Division in Hawaii for testing in 2017. Additional changes from that testing made it into Version Two, which resulted in a 1.5-pound boot, with a half inch shorter heel and quicker drying time. That version was field tested a year ago. A final version is expected to go into production this year, according to Program Executive Office-Soldier. That piece of footwear has remained virtually unchanged since the 1960s.